I’ve always been a movie junkie. I attribute my transition from childhood’s “All movies are fun!” sentiments to actually, really deeply loving film and movies to my Dad who harbors a keen interest and love for the form himself. On more than one occasion he handed out reprieves from getting my homework done so we could watch something great on broadcast television like Mel Brooks’ The Twelve Chairs or John Sturges’ perfect and perfectly American The Great Escape. While working in the studio either screenprinting, packing orders or just cleaning up and re-organizing I tend to gravitate to watching old TV shows and movies (when I’m not listening to music or podcasts). 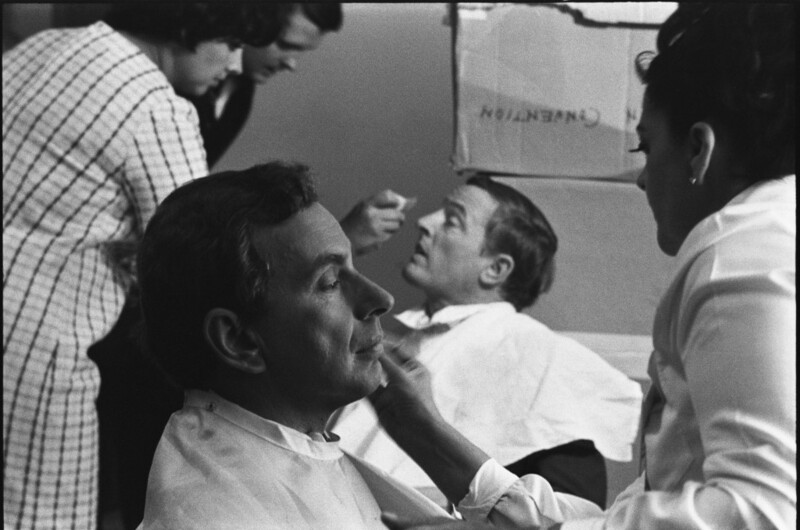 Of late, I’ve been on a documentary kick, and came across the epic, whip-smart, and incredibly energetic film Best Of Enemies, written & directed by Morgan Neville & Robert Gordon, about Gore Vidal & William F. Buckley’s intensely bitter relationship. And it’s this relationship’s enmity that brought them both to wider recognition and audiences around the world as both political commentators as well as leading critical thinkers (for good or for ill) around the world. In this current Presidential election cycle, this film couldn’t be more current, prescient and on-trend. Enough said, luckily it’s available in at the film website here, as well as on iTunes, Netflix, & On Demand. Enjoy! In the summer of 1968 television news changed forever. Dead last in the ratings, ABC hired two towering public intellectuals to debate each other during the Democratic and Republican national conventions. William F. Buckley Jr. was a leading light of the new conservative movement. A Democrat and cousin to Jackie Onassis, Gore Vidal was a leftist novelist and polemicist. Armed with deep-seated distrust and enmity, Vidal and Buckley believed each other’s political ideologies were dangerous for America. Like rounds in a heavyweight battle, they pummeled out policy and personal insult—their explosive exchanges devolving into vitriolic name-calling. Live and unscripted, they kept viewers riveted. Ratings for ABC News skyrocketed, and a new era in public discourse was born.